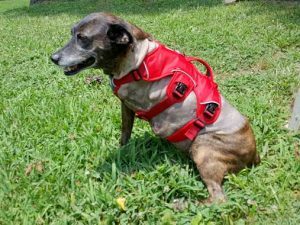 Three legged dog Diesel gets a free harness from the Tripawds Foundation Gear Fund. Read his story and find out if you qualify for assistance. 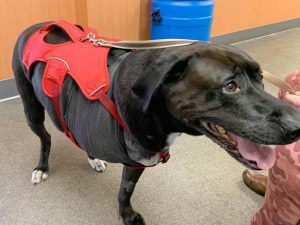 MastCell Tumor amputee dog Smiley gets a free harness from the Tripawds Foundation Gear Fund. 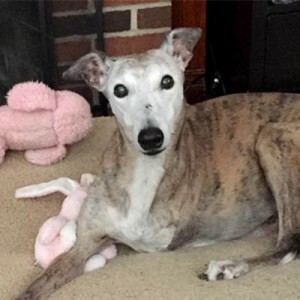 Read her story and find out if you qualify for assistance. 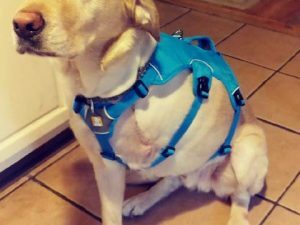 Three legged Labrador Emmett gets a new Ruffwear harness from Tripawds Gear Fund. Read his story and see if you qualify. 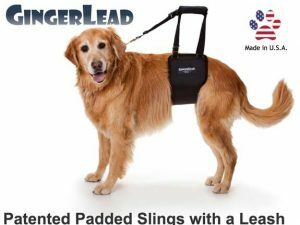 Free GingerLead with New Stay-on Straps! Act now to receive a free GingerLead support harness with new Stay-on Straps in exchange for objective product review. 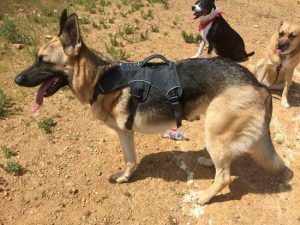 Three legged German Shepherd Dog Amber gets free Ruffwear harness from the Tripawds Gear Fund. 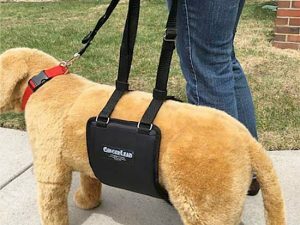 GingerLead dog support & rehabilitation harnesses are now available for free to families in need of financial assistance from the Tripawds Gear Fund. 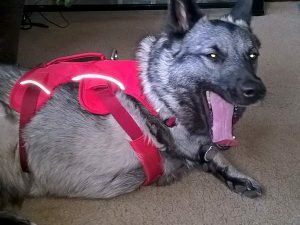 First free Ruffwear harness is donated to Tripawd Elkhound Ivar, who has always been afraid of stairs. 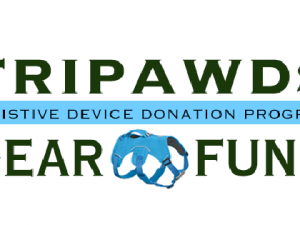 The Tripawds Gear Fund provides free support harnesses for amputee dogs available to people in need of financial assistance. If you have a three legged dog, see if you qualify and apply here!